Sunroad Corporate Centre is recognized as one of the premier office locations in San Diego. This four building project was completed in phases beginning in 1999 with completion in 2001. It is located in San Diego’s prestigious University Town Center market, includes a beautifully landscaped lake, and offers over 420,000 square feet of prime Class A office space. Sunroad Corporate Centre I was sold in 1999. 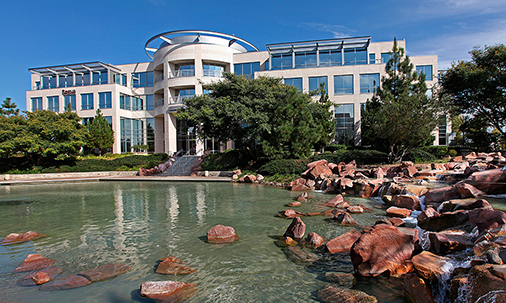 The remaining three office buildings have over 303,771 square feet of rentable space. The entire project is currently 100% leased. The tenants that have selected Sunroad Corporate Centre include Cooley Godward Kronish, LLP, Marsh, Dentos, Shell Trading and Banner Bank.